This morning, I checked a few retailers for “Cyber Monday” deals and took notes along the way. Some of the best finds came from Blinq, a retailer I’ve purchased from a number of times. Note that Blinq products are often open box, used or refurbished–please check the product description before purchasing. On the plus side, Blinq makes the return process hassle-free if you’re not happy with the purchase. Important: Today only, use the coupon code SUPERCYBER and Blinq will take an additional 15% off the listed price at checkout. There are many more radio listings on Blinq.com–use this search to help locate them. I also noted a number of Baofeng handheld transceivers and accessories. After Peter’s assessment of the Sony SRF-18, I’m very tempted to purchase one. The Sony SRF-59 package (above) is also very nice–especially since finding the recently discontinued ’59 for a good price is becoming more difficult. Please comment if you note any other good radio deals today! At time of posting, most radio retailers haven’t updated their sites since Black Friday. 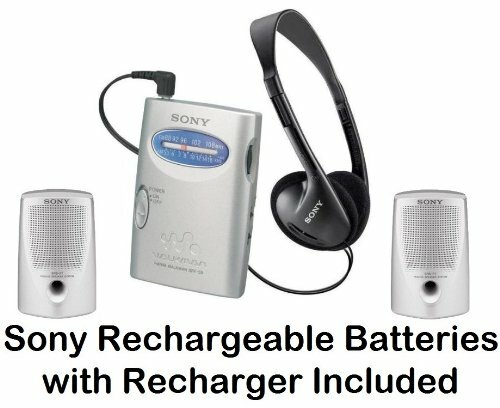 This entry was posted in Deals, News, Radios, Shortwave Radio, Specials and tagged Blinq, Sangean LB-100, Sony SRF-18, Sony SRF-59, Sony SRF-S84, Tecsun PL-390 on November 30, 2015 by Thomas. 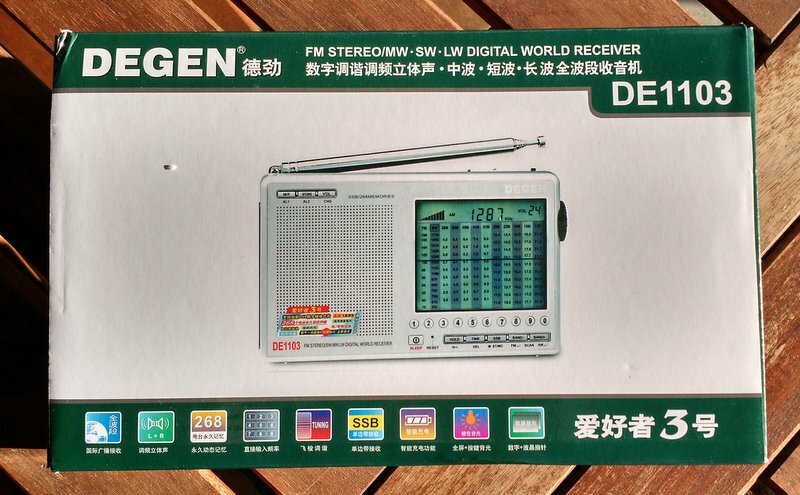 Fantastic review and whilst I know the article is an older one people will still read it when looking at a portable SW radio. With this in mind I would like to make the following comment about the PL660. You say it is bulletproof and boy is it! Mine has been dropped, kicked and overwise abused and it’s still going strong. Most remarkably it was knocked into a bucket of water, plugged in and powered up and was there for a good couple of hours fully submerged before I realised. It wasn’t long good for a week or two but after 3 or 4 weeks I have it one last try before binning it and hey presto it came back to life! Ok the volume pot is now a bit scratchy but other than that it’s working just fine. Wow! Thanks for your comment, Danny! Most impressive that your PL-660 went diving that long and lived to tell the tale. Thanks for sharing! 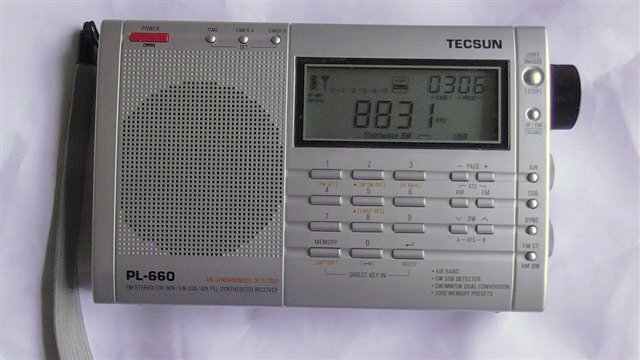 This entry was posted in News, Radios, Shortwave Radio, Travel and tagged PL-660, Tecsun, Tecsun PL-660 on November 29, 2015 by Thomas. I upgraded my Sangean U3 with a male to female iMBAPrice 6 foot stereo audio extension cable 3.5mm, which I plugged into the U3’s auxiliary port. The U3’s small stub of an FM antenna really needed some extra oomph. Now my U3 is picking up all my favorite stations, including the problematic KPCC 89.3 in Pasadena. AM is as great as always. The sound is crystal clear on AM and FM. If this radio weren’t so big, I’d buy two more for the kitchen and my bedroom, but will have to be content to have one for my gym/office radio. Thanks, Jeff! 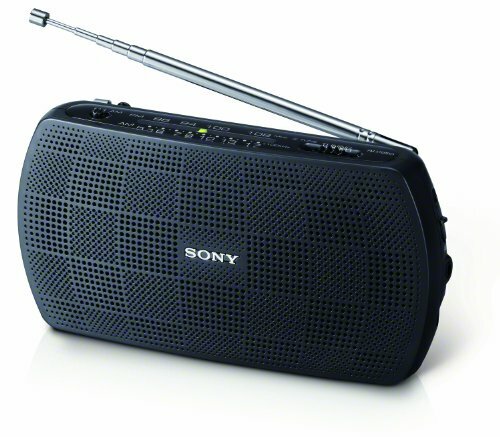 I might have to consider the Sangean U3–I hope a reader will let me know if one goes on sale. 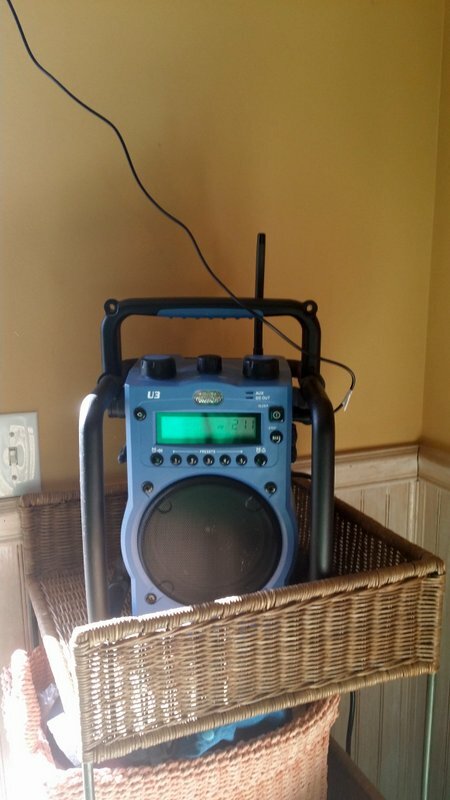 Like Jeff, having a radio that not only performs admirably, but that can also withstand the attention of my kids, may be a great investment over the long-term! I’m glad such a simple addition to the U3 means that you can now hear your favorite Fm station, Jeff! 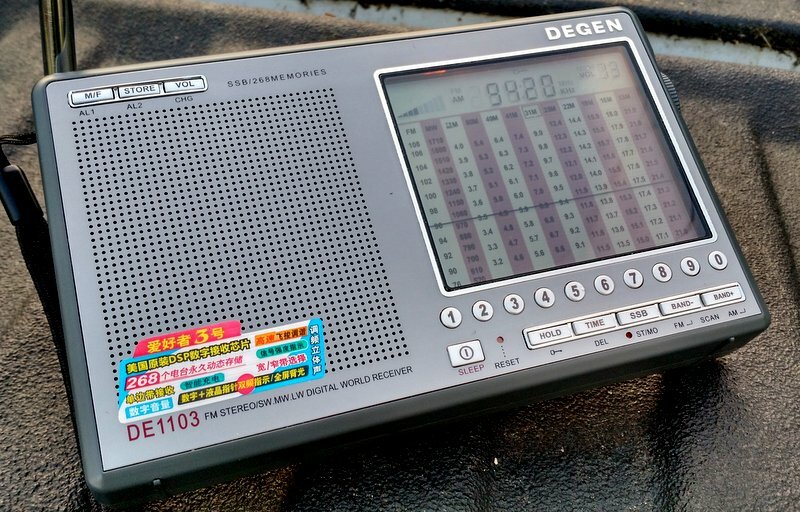 Now if Sangean only made a shortwave version of the U3–! 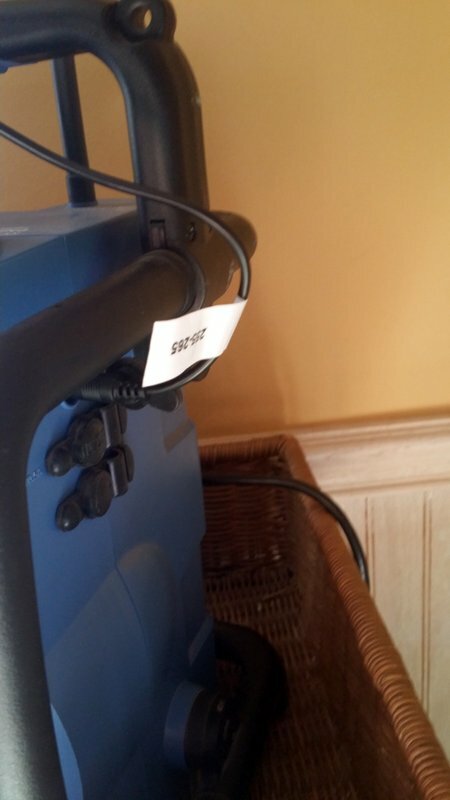 This entry was posted in AM, FM, News, Radio Modifications, Radios and tagged Herculodge, Jeff McMahon, Sangean, Sangean U3, U3 on November 28, 2015 by Thomas. 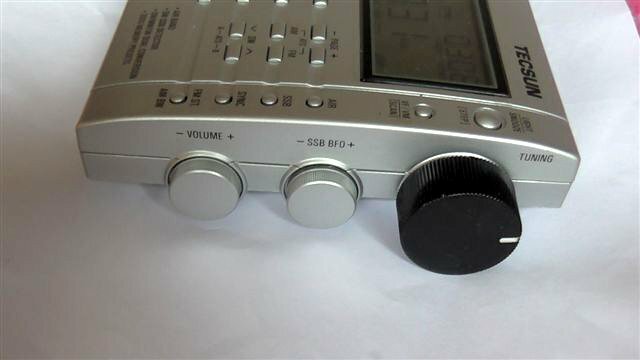 Has anyone ever thought of changing the Tuning knob on the PL-660? Putting a larger knob on it makes for much easier turning instead of the very small fiddly knob Tecsun supply. Finding the right plastic knob maybe a problem, needing to insert it over the tuner cam. But modifying another knob off something else is what I did. That looks like a very simple and effective mod, making the 660 more tuner-friendly for you! Thank you for sharing, James! 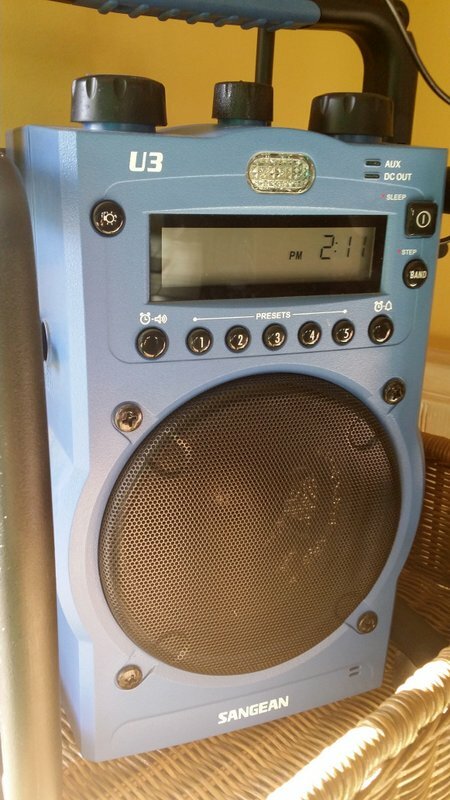 This entry was posted in News, Radio Modifications, Radios, Shortwave Radio and tagged James Patterson, Tecsun PL-660, Tecsun PL-660 Tuning Knob Mod on November 28, 2015 by Thomas. 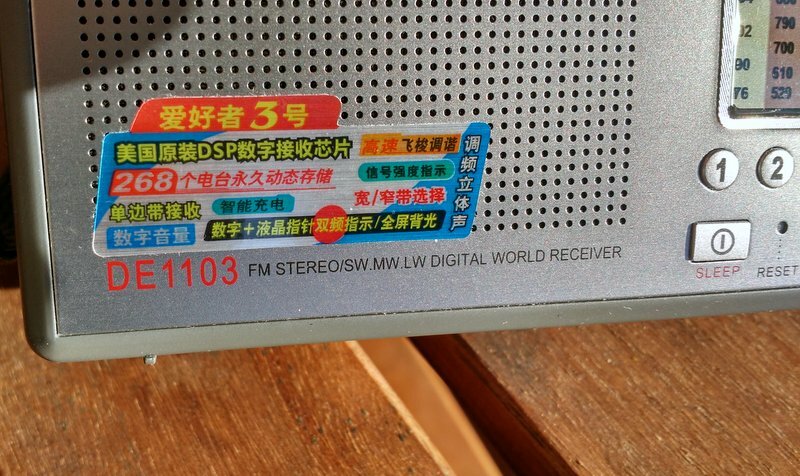 When I discovered that Degen had recently refreshed the receiver design of the DE1103, I was intrigued, to say the least. The original DE1103 sported some serious performance for a sub-$100 receiver. The 2015 model of the Degen DE1103 implements a DSP chip (the Silicon Labs Si4735-D60). Yet I was on the fence about purchasing the new DE1103. Why? In truth, I never fell in love with the original DE1103. While I appreciated the 1103’s unique analog-style digital display, I never got used to its quirky ergonomics. Degen had quality control issues, too: I had to return two faulty units before getting one that worked as advertised (incidentally, I had a similar problem with the Kaito KA1102). Then last week, SWLing Post reader, Ron, contacted me. He had purchased the new DE1103 from Hong Kong-based eBay vendor Bigbargainonline. Performance is roughly on a par with the earlier dual conversion version. This one is just as hot, but no hotter. If you were thinking a GP5 on a bigger ferrite bar, yes…and no. There is one major gripe…[this unit] will not remember frequencies set with the BFO on, like the earlier dual-conversion version did. Instead you have to turn the BFO on for each memory frequency [for which you] need it. One thing [I] noticed right off was the almost complete lack of AGC “pumping” on CW and SSB that all earlier versions had (yay!) but this plus comes at the cost of having the BFO “remembered” in memory. either side of zero beat, however. This is doubtless due to Tecsun’s adapting the Silicon Labs IC to a full range BFO like this. Recall the same IC in the GP5 features Upper and Lower selection on CW/SSB. 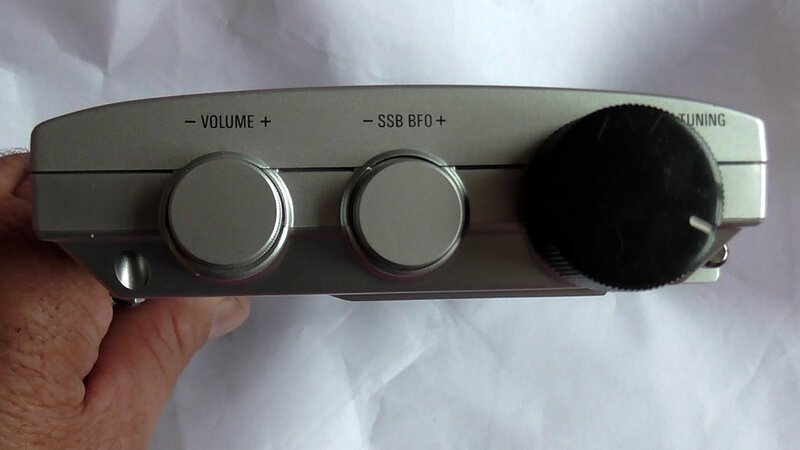 This 1103 DSP version also has the GP5’s slight tuning mute, not a problem. But for ease of operation in CW/SSB mode, the GP5 is [much] better IMO. Ron also notes that he wasn’t pleased with the DE1103’s longwave performance and didn’t feel the mediumwave and shortwave reception was an improvement on the original DE1103. He decided that he would sell this DE1103 and gave me first dibs, so I bit the bullet. I was eager to compare the new DE1103 with some of the other DSP-based portables in my collection. Ron dispatched the DE1103 immediately–it arrived a few days ago, but I didn’t have a chance to test it until yesterday. I tuned around the mediumwave band and picked up all of the local benchmark stations. Same with FM. So far, this tuning confirmed Ron’s assessment of the DE1103: it didn’t surpass the original. But the shortwave bands were a different story. As I tuned around the HF bands, the DE1103 seemed to receive quite a lot signals. But in most instances, I could hear local AM broadcasters bleeding in, as well. Indeed, imaging was prevalent across the shortwave bands–the receiver was obviously being overwhelmed by a local broadcaster. Unfortunate. Could strong interference account for this? While there are local AM broadcasters around, they’re not exactly “blow-torch” stations. Indeed, I’ve never had overloading issues with other shortwave portables I’ve used in the same location–not even with my Kaito WRX911! Imaging was prevalent on the DE1103 when it was tuned to pretty much any audible shortwave broadcaster. What you’re hearing in the audio is a local broadcaster bleeding in. Note that when I tune off-frequency, no imaging is heard. Wondering if something had changed locally–and just to be fair–I pulled out my Sony ICF-SW100 and sat it next to the DE1103. The Sony had no issues. As Dan Robinson expresses it, the ICF-SW100 “wipes the floor” with the DE1103. There’s no hint of overloading in the SW100. My buddy, Ron, is clearly a keen radio reviewer; obviously he didn’t hear overloading on the shortwave bands where he tested the rig, else he would certainly have mentioned it. 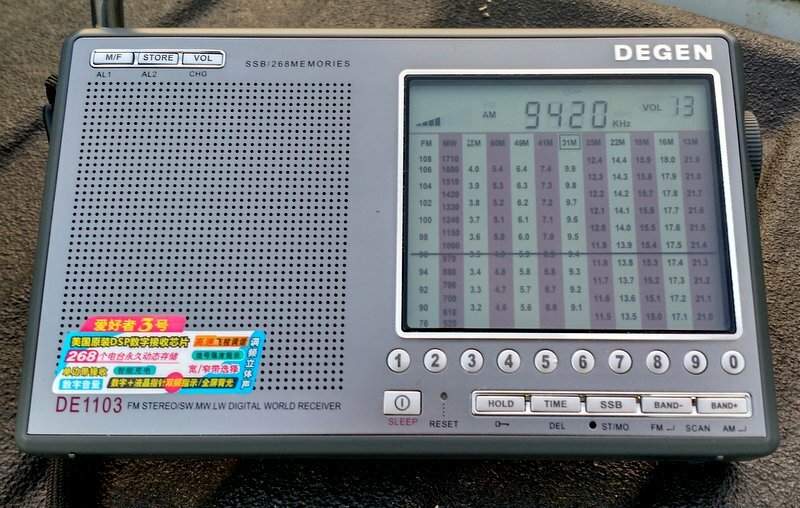 The location where I tested the DE1103 does have some local broadcasters in the area, but no clear channel or high-power stations; in short, there’s no likely interference within a ten-mile radius to account for this debilitating performance problem. Obviously, the new DSP version of the Degen DE1103 is especially prone to imaging on the shortwave bands. In fact, it’s the only receiver I’ve ever tested that has overloading issues at this testing location (where I tested the original Degen DE1103, by the way). My assessment? Avoid the new Degen DE1103. A much better receiver with SSB for roughly the same price would be the venerable Tecsun PL-600 ($89.99 at Amazon and $89.95 at Universal Radio). If SSB reception isn’t necessary, you might also consider the CC Skywave or the very affordable Tecsun PL-310ET. This entry was posted in AM, Mediumwave, New Products, News, Radios, Reviews, Shortwave Radio, Shortwave Radio Reviews and tagged Degen DE1103, Degen DE1103 DSP, Degen DE1103 DSP Review, Degen DE1103 Review on November 27, 2015 by Thomas.